Yes, that's correct. Today is Mama's Day. A day for celebrating... you guessed it... our MAMAS! My mama lives in Heaven now but before she went there, she was the best mama on earth! Her name was Madison and she was ever so pretty. 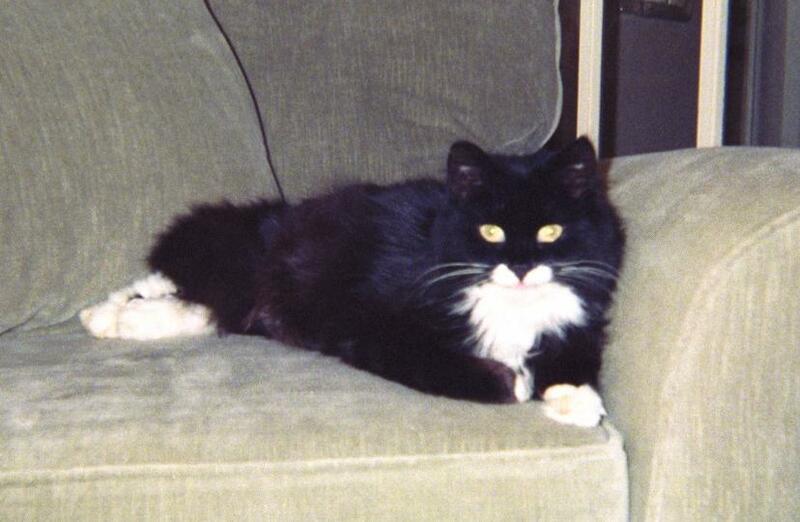 She had long silky fur and was always dressed to the nines in her beautiful tuxedo coat. And she had the sweetest little face, ever! Peep #1 always says I have a heart-shaped face like my mama. She says I'm a sweetheart just like her. I like hearing the peep talk like that. Brings a tear to the eye and a purr to the heart. You know what I mean? My mama had a rough life. She wasn't feral like me. She had been abandoned by some really nasty people. I never met them but she told me all about 'em. Those nasty people left her all alone... outside... in the oh-so-cold country of Canada... to fend for herself. Just what were they thinking? My mama was a very skilled hunter but there aren't a whole lot of mice out and about in the winter months. What did people expect her to do? Dig through garbage and whatnot? Sometimes, my mama would hang out at a bird feeder or two. I know it upset some neighbours but again, what did they expect? THERE ARE NO MICE IN WINTER! The cupboards were bare. She had to hunt birds. She had no choice. Then, of course, came us kittens. As you all know, there were four of us. Mama Madison made a nice little nest in a neighbour's wood pile and that's where we were born. Then, when we were old enough, she brought us to the peeps' veranda. By that time, although she was still a little nervous around peeps and whatnot, she had come to realise these peeps weren't evil and rotten like some others. They weren't the abandoning type of peeps nor were they the chasing-away-from-bird-feeders-when-you're-literally-starving-to-death type of peeps. They were good peeps, willing to offer her a dish of food or two when she came by with an outstretched paw. Oddly enough, I - even though feral - decided to move into the house before my mama. I don't really know how that happened, but it did. Just one of those funny - funny as in odd - quirks of life, I suppose. Anywho... I moved in first, then my brother Desdemona and then my two sisters Beatrice and Constance. My mama refused to come live with us for another few months but once she did, we were the happiest family you ever did see. We had good peeps, our mama and our siblings. Oh, and there were some other cats, too. What a wonderful kitten hood I had... and it was all because of my wonderful mama, Madison. I love you mama. Even up in Heaven, you're still the best. HAPPY MAMA'S DAY! What a great post especially on Mother's day. We know your Mom is watching over you from heaven. So glad you all moved in with the peeps. Happy Mother's day to all of you. Take care. Happy Mother's Day wishes from all of us at the Katnip Lounge! 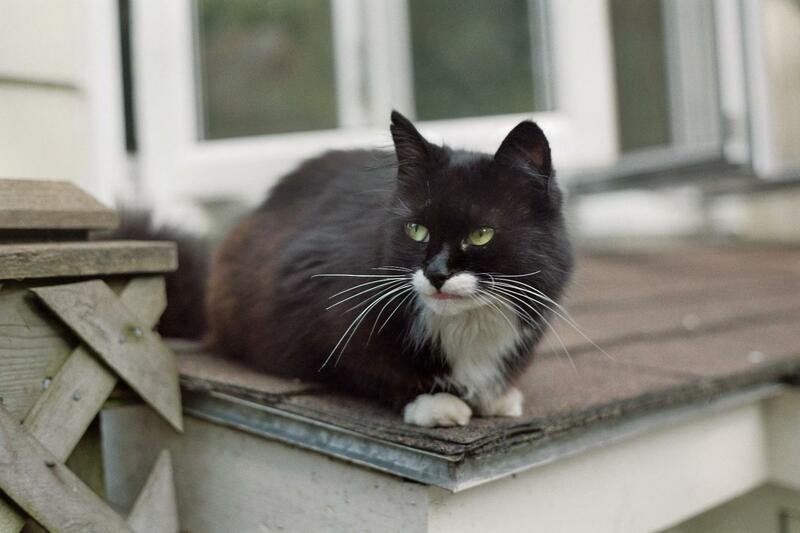 This is such a moving story - you have made a mancat here have a little lump in his throat. I do not remember my real mother - I was rescued when I was maybe 5 weeks old and there were no other kitties near me. I was very very lucky. Madison looked after you well! What a wonderful Mama you had fur sure. Happy Mother's Day to your Angel Mom and to Moms everywhere! What a wonderful tribute to your real mom! Happy Mother's Day to her in spirit and to all moms of four and/or two-legged Beings. Happy Mothers Day, Nerissa - thank you for the lovely tribute to your mother! What a wonderful tribute to your sweet mama! Thanks for sharing! Wonderful tribute to your real mommy ! What a special tribute to your Momma. Happy Mother's day to your human mom too! This story made my Human all leaky--and if you won't tell anyone, it even made me a little leaky myself. I don't remember my real momma, but I appreciate that you knew yours and had a wonderpurr relationship wif her. Human momma's are a blessing too. We all need to make sure we don't shred anything, or pee outside the litter box today in honor of how good a life we all now haz, especially if we were born in a wood pile, or tossed out. Happy Mother's Day! I don't remember my cat Momma. But your memories are so clear...made me cry happy tears. Your mama was wonderful, Nerissa! Nerissa, me is weeping for your Momma. Me never ever knew mine. Me was sold before me can remember what she was like, Kozmo can't remember his Mama either. he was left in a plastic bag hanging on a door. But wes has our Mommy now and we's loves her to bits! Left in a plastic bag? Oh, how horrible! Thank goodness you both have your Mommy now to take care of you... and I know she takes really, REALLY good care of you. It's no wonder you love her to bits! That was a lovely tribute to your Momma Nerissa - it must have been so hard for her taking care of you and your siblings during that snowy winter. Thank goodness she found a safe home for you all with your peeps. We were both born into a house with over 100 cats living there but fortunately some one called the RSPCA and got us all rescued but we never really ever knew who are Mums were. A hundred cats? Thank goodness you were rescued and adopted by your wonderful peeps! I'm so glad the story had a happy ending. Smart kittens choosing to move in with the peeps. Oh Nerissa what a very sweet post about your Mommy Madison and what a good Mom she was to you and your siblings. We're also happy that she knew that the place you live now was the place she could bring all of you for shelter when you were babies. Cats have amazing instincts don't you think? We hope your Peep Mama had a super Mommy's Day too!! Mowzers, how cool is that, that you were able to know your furry momma! We know she must be very proud of you now! You sisfur likes toesie massages??? C'mon, she can't be a real cat, then, can she? I guess. I would not DREAM of allowing the Human to touch my private toes. She's all grabby-hands enough with the rest of me. Not only did your Mama Madison do a wonderful job raising her kittens, she also had good sense in picking out the best home for everyone! Madison was a lovely and nurturin Mama to you. That was a very nice remembrance. Great story Nerissa. Your Mommie sounds like a wonderful kitty. this is so beautiful. it brought tears to our catmama's eyes. hugs. thank you for sharing this. Nerissa, that was a really sweet story - if you overlook the nasty peeps. Your mom sounds like a really sweetie, and smart, too. Thank you so much for coming to my party and helping to make it a success. I was really happy to see you there, and I hope you had a great time.